I really like novelty fabric and novelty quilts. I also like having fabric of different textures and types. 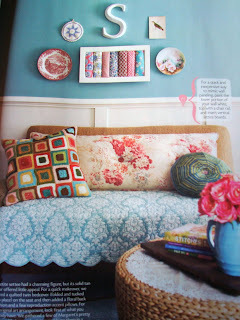 Today I'm going to spotlight cotton/linen blend fabrics. It is hard sometimes to put these types of fabric in quilts since they are heavier weight and not really purposed for quilts. 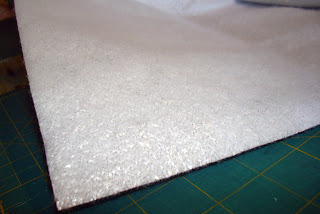 In some instances I don't let that stop me and I will include fabrics of different types in my quilts, even velvets and corduroy along with these thicker fabrics. 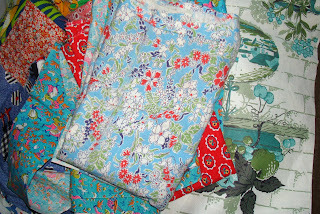 I mostly use these heavier fabrics for crafts, purses, aprons and hand towels. The novelty element makes them very fun to collect. If you look at my side bar there are several places I obtain Japanese reproduction/novelty fabric from. These fabrics below have been collected over the past few years from those sources and from Etsy sellers. These are in my novelty travel fabrics collection. The one on the right is about New York. 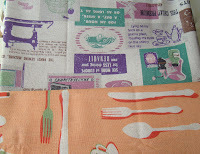 I love fabrics with houses in them and of course kitchen prints. Kitchen prints are my absolute favorite novelties. 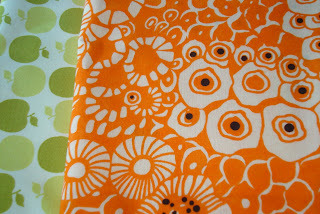 These are kind of 1970's type fabrics. This is a darling elephant print that came in several colors. 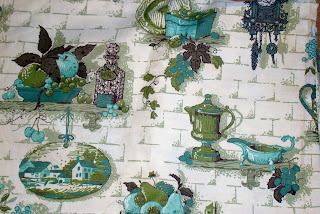 I really like the colors and the sewing theme in this fabric. And I do like bee themed fabric, too. This is one of my favorite kitchen novelty prints. I use it very sparingly because I haven't seen this for sale anywhere for a while. I hope you are having a nice Friday and Happy Labor Day weekend to everyone. 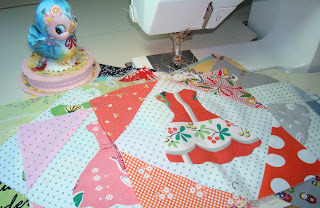 I am hoping to be able to start sewing again soon. I have the best friends. Really and truly I do. Last night when I got home from a very long day at work, tired and in pain, there were my 2 most fabulous friends, Flora and Laura, waiting for me with dinner for my family. How wonderful is that? Even though I gave myself this stupid sewing injury they were there to support my patheticness (is that a word? it should be). This is a terrible picture of the lovely dinner they brought. Our camera was accidentally on a strange setting so everything looks a funny color and so dark. But that doesn't matter. It was a fabulous meal. Incredible really. I thought my 13 year old son would go crazy when he saw the food. Shows you my depth of patheticness I guess. Everything was wonderful. And I say 'was' because its nearly gone. 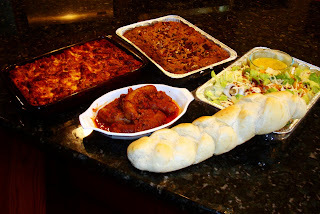 Lasagna, Italian sausage, homemade bread, wonderful salad and delicious cake. I'm telling you it was incredibly yummy. And more than that incredibly thoughtful. I can't tell you how great my friends are. Well I could but we'd be here all day. Thank you, thank you Flora and Laura. So while I rest a bit and get my shoulder/arm to heal I thought I'd participate in Vintage Thursdays. Eileen introduced me to this idea. There is a group of lovely bloggers celebrating vintage Thursdays and I'm going to borrow the idea for today's post. I love vintage and vintage toys are the most fun. This sweet sewing machine (it really works) was given to me by my sister Michelle, just because. Isn't that great. I've shown it on my blog before but its too darling not to show again. 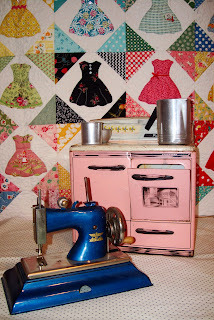 And the old pink stove is just like one we shared as girls when I was a kid. We had the metal cookware just like the ones on the stove. I can't tell you how many water pretend cakes I made. That stove represents a lot of fun play days from my childhood. I bought it on ebay because the original is long gone but it is exactly the same and gives me great pleasure to have and look at. Have a great day. I'm resting. 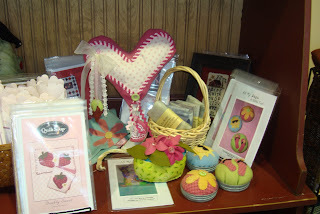 So you all sew and get some fun things for me to look at. Binding this . . .
Making more of these . 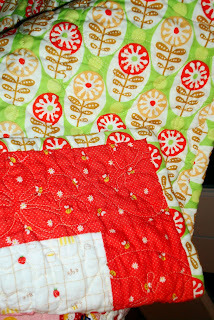 . .
Appliqueing waves on this new baby quilt . . .
. . . and then binding this. So it has taken me 5 days to finish the binding on my blue couch quilt - something that normally would take an evening. Thanks to your suggestions I'm applying heat and muscle balm. 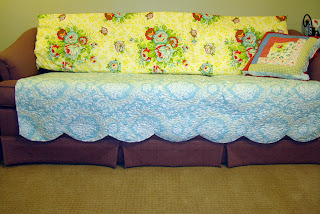 So here is the finished quilt or my "medal" and the new look for the couch. It's not exactly like this one in the picture but I'm happy with the end product. It is comfortable and fresh looking. 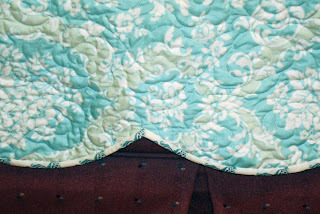 Wendy quilted simple flowers into the 1 fabric quilt. So now . . . I have to tackle these! 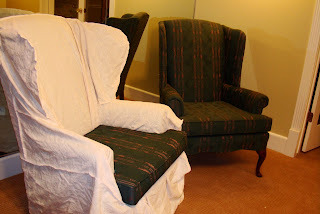 I am starting to customize pre-made slip covers for the wing back chairs in the same room. I'm in no hurry. I'm trying to rest a little. But it is hard. I have so many things I want to do. I was going to quit the Dear Baby Jane project. I've been waffling back and forth about what to do since I've gotten behind. I seem to have totally lost the Dear Jane mojo. I even had a post started to put an end to my Dear Jane quest after my disaster of block K-12. I made the block twice and had my block template turned the wrong way TWICE and cut the finishing edges of the block off. I thought it was a "sign" - STOP NANETTE, JUST STOP! I'm not a precise sewer and Dear Jane has been a huge challenge for me. Most of the time when I finish my blocks I have to squint to be able to stand the finished product. Then today Anina posted J-4. It looked so easy that I couldn't help but come home from work and sew it up. Yeah I still made a couple boo boos - even with this super simple block. On the left is K-12 (the one I cut wrong) and on the right is the simple J-4. On J-4 the X is supposed to look like 1 piece of fabric even though that's not how I cut the fabric. You can tell where I didn't line up my print in the one line of the X. Oh well. On K-12 like I said, I turned my ruler wrong when I cut the finished edges to size. Making the block sit wrong. Look at mine (on the left above) and then . 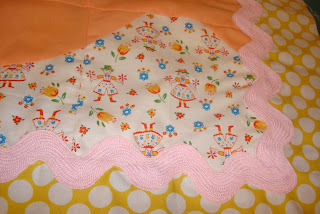 . .
Look at Anina's (I swiped this picture from the Dear Baby Jane blog, sorry Anina). I am NOT making this my K-12 again. Its wrong and I'm sticking with it. 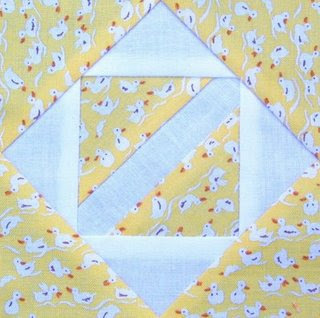 This quilt is a journey of sorts to learning new skills. And my mistakes are there. 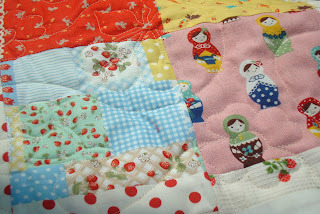 If I were a perfectionist I wouldn't make this quilt because I couldn't do it perfectly. So my blocks stand. I won't quit Dear Jane completely. Not yet anyway. I decided for now I'll make the easiest blocks and not worry that my finished product will be small and will have many blocks left out. 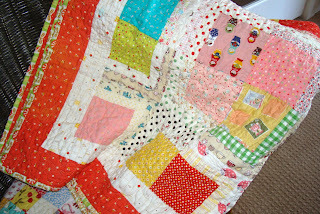 My quilt will never be a museum piece but I do hope to finish it in some way. Over the weekend I bound my latest little quilt made from Japanese fabric. I couldn't wait to wash it. 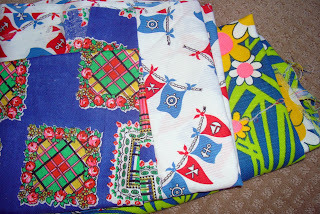 I had Wendy quilt it with cherries and flowers. 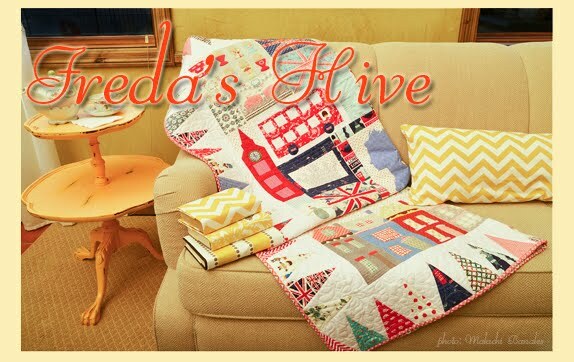 She has a quilting machine that she programs designs into for end to end quilting. It's quite affordable for quilts that don't need specialized quilting and her turn around time is mostly 1 week. 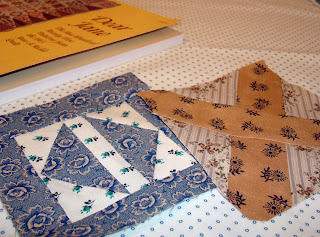 After all the hand applique and binding I've done lately my "quilter's arm" shoulder and elbow pain flared up. I'm trying to rest it right now but that's hard to do. I have projects stacked up! Ibuprofen and rest is what it takes to improve the pain so I'll try to do that. Our blog has received some really sweet blog awards lately. Erin, Kim and Eileen are some of the nicest people and bloggers and it was so good of them to mention our blog and say really nice things about it. Each of those girls have terrific blogs and have so much talent in addition to being great people. Thank you so much girls. I'm terrible at picking other blogs to give awards to. I have so many great blog friends and I appreciate all of them. 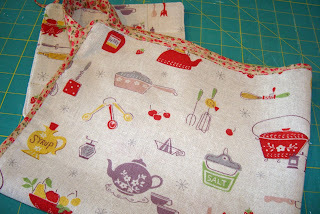 It was a shopping and sewing Saturday this weekend. 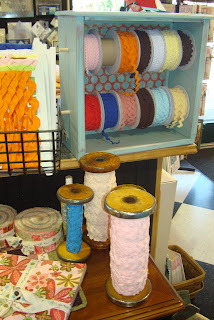 I needed fabric for binding and some rick rack for a new project. I went to Material Girls in South Jordan. Nadine took care of me and helped me find just what I needed. I haven't been to Material Girls since the shop hop in June. 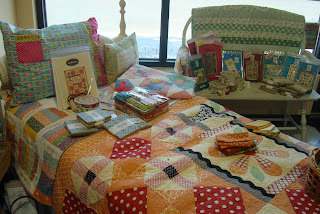 New quilts and displays were fun to look at and browse. 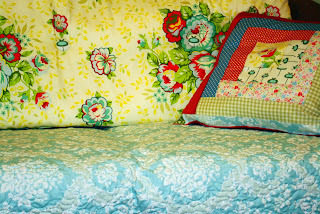 The bed in the back of the store had a really darling quilt by Quilt Soup. It was done in early fall colors. Here is what I got. 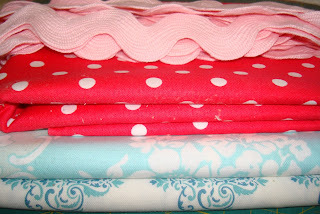 Matching fabric for the couch quilt, binding fabric, rick rack and pink dot for a new baby quilt. 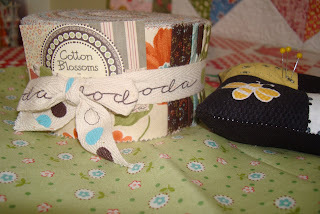 Nadine also had the new Cotton Blossoms jelly roll by Camille. I had to get that. The fabric is really sweet. I don't know yet what I'll make with it but I couldn't pass it by. 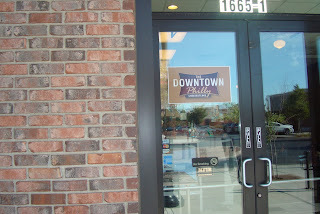 The bonus was that a few stores down from Material Girls is a great sandwich shop called Downtown Philly. The owner is the son of a guy I knew when I lived in Reading Pennsylvania many years ago. It was great to taste an authentic cheese steak! 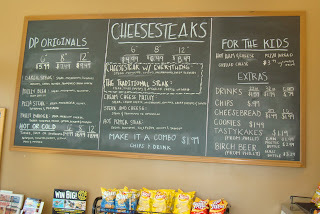 We stuck with ordering the basic Philly cheese steak. 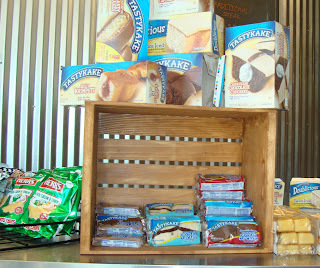 There were also Herr's chips, birch beer, and Tastykakes. It was like finding a little spot of Pennsylvania inside Utah. 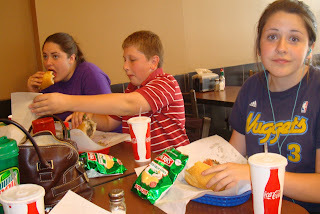 I know its rude to take pictures when people are eating but you can see we all loved our sandwiches. I think we'll be back whenever I need fabric. How often is that???? Probably too often! After my friend Syd came over last night and brought me some fabric treasures, I decided to make today a fabulous fabric friday. This was the pile she brought to me. Fabric makes me happy. Silly, I know. There were feedsack pieces and you know I love them. 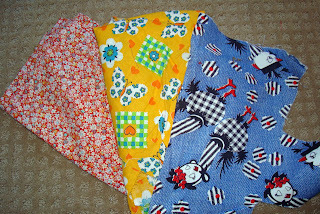 Closer weaved novelty and flower print. Fun fabric. Some 60's prints/weave with nautical and flower power. Syd knows I love kitchen novelty prints. This one is really nice. Its a lighter home dec weight. The aqua made me think of Monica. I can think of lots of possibilities for this piece. Syd has brought me treasures before. She knows just what I like. These are wonderful thank you so much Syd. 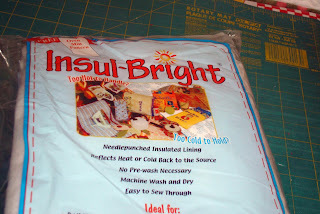 Now onto fabric I've "acquired" via the internet. 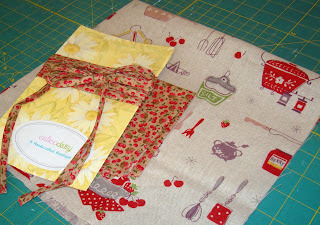 I'm gearing up for making Christmas gifts and so I ordered 2 kits to make table runners from Quilt Taffy. Its an easy project that anyone would like, I think. 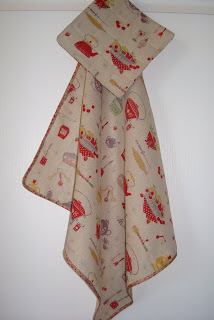 I love putting unexpected fabric in things I make and for some reason words really add something to a design. I'm really loving these colors, too. I guess thats why I ordered these fabulous fall fabrics. Before Christmas gifts I have a few fall things to make. 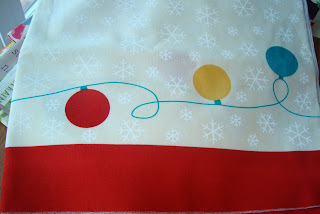 And back to fabric to use for Christmas projects. I'm a sucker for the Japanese retro fabric. But I usually only buy small pieces because it can get pricy. These have lots of colors and designs in them so I feel like its bonus fabric that can be used in lots of things. 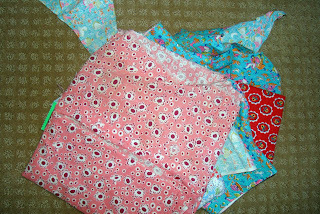 I can cut it up or use it as is when making a bag. 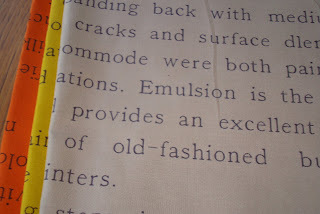 Edit - I purchased the fabric with writing and the print above at Purl SoHo. I'm waiting for a piece of fabric to be mailed so I can finish the dress quilt in the baby size so in the mean time I decided to whip up a quick project I've had on my list for a while. 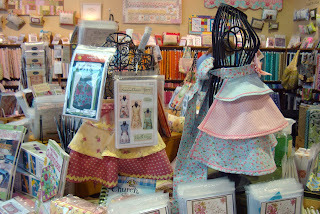 Michele at Calico Daisy was selling bias tape at her Etsy store last week. 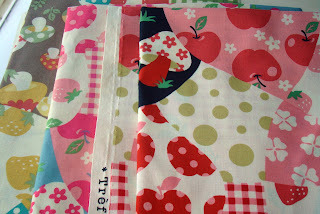 It is a cherry print and a perfect match for this Japanese reproduction linen. I wish I had gotten more of this fabric when I ordered it at Superbuzzy because it is so cute and now they are out of it. Its a loosely woven linen. I decided to make a kitchen towel and matching hot pad. Michele was kind enough to add some extra fabric. Thank you again Michele. So I backed the hot pad with the matching cherry print. I put a hanging loop on both the hot pad and the towel. They turned out so cute that I don't think I could ever really use them. And they would make a great gift. I used this heat resistant batting for the inside of the hot pad. I bought it a while back to use when I make hot pads. I like to make hot pads out of orphan blocks. My oldest daughter Natalie made dinner a couple nights ago for our family and her boyfriend, Justin. She doesn't cook very often so it was a nice treat. 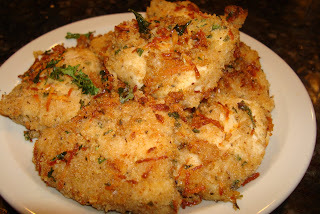 She made parmesan chicken. 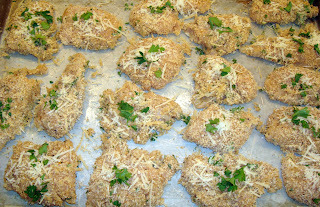 It was baked in the oven and was crispy and very tender. Natalie Edit - "The instructions are clear, concise and it is indeed as good as it looks/sounds. Prep time is significant, although this may be due to my status as a somewhat novice cook. The Recipe is here." 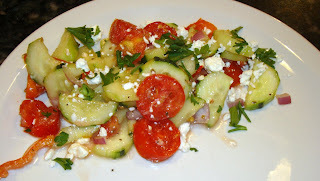 "For the Greek salad recipe I searched online for "authentic Greek salad" and found something yummy. Apparently traditional Greek salads only use olive oil and do not use vinegar. Although some people like to add this, I kept it off the whole salad and let everyone decide to add it to their personal salad because I HATE vinegar and that is perhaps why this salad is the yummiest for me. " She made middle east style rice and this Greek salad with fresh tomatoes and cucumber. It was really delicious. My friend Ashley gave us the cucumbers. Some of us used this new black raspberry vinegar and olive oil to make the salad dressing. I really liked the flavor of the vinegar and plan to find more uses for it. Any ideas? Laura? Speaking of Laura, this is what she brought us tonight. 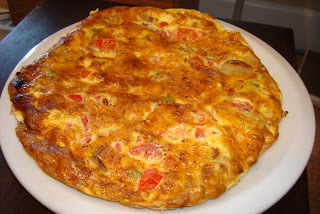 A delicious fritatta with fresh vegetables and potatoes. Super delicious. I know you all wish she was your neighbor. What I did I do while I watched the Olympics?